Crystal Head Vodka presents An Evening with Dan Aykroyd on Friday, Oct. 27. When: Friday, Oct. 27, 6 p.m. Ever wanted to meet a comedy legend? Now’s your chance: Blues Brother Dan Aykroyd will visit South Shore’s Hard Rock Hotel and Casino on Friday, Oct. 27. 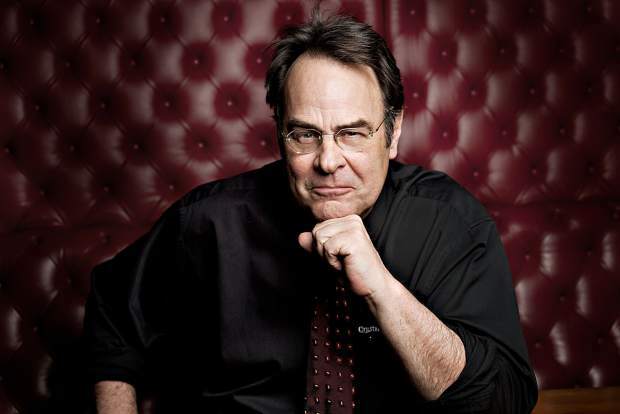 “Without question, the must-attend event on the Pinktober calendar [is] An Evening with Dan Aykroyd on Friday, Oct. 27. The three-hour event begins with a cocktail reception presented by Aykroyd’s Crystal Head Vodka label, which he founded in 2007. “The ‘Ghostbusters’ and ‘Saturday Night Live’ alum will then meet and sign autographs with fans, and also take part in a Q&A session in the resort’s ballroom,” states a press release from Hard Rock Hotel and Casino. But the evening doesn’t stop there. “A live art auction featuring art created during the event from local artist Will Eichelberger will follow, with proceeds benefiting the Pinktober cause,” continues the release. Tickets for the event, which starts at 6 p.m., begin at $49 and cap at $99 (the latter is a VIP option that allows guests to go home with an autographed bottle of Crystal Head Vodka). Pinktober is Hard Rock Hotel and Casino’s “property-wide push for Breast Cancer Awareness Month, turning its exterior lights pink and urging employees and guests to join in support of the South Lake Tahoe Cancer League,” continues the release. The venue is located at 50 U.S. 50 in Stateline. Learn more online at http://www.hardrockcasinolaketahoe.com.